The above map indicates the trails in the western portion of the Burke Centre region. 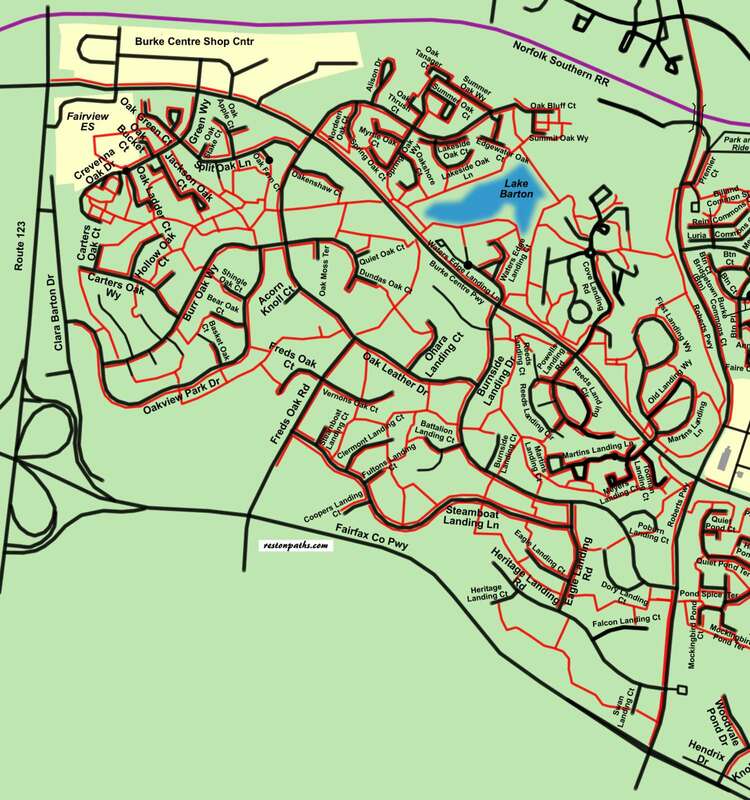 The complete map series covers that portion of land between the Norfolk Southern Railroad on the north, the Fairfax County Parkway on the south, Route 123 on the west, and Burke Lake Road on the east. There are portions of Burke Centre outside of the area mapped. Also, not all neighborhoods on the map are part of Burke Centre.